NEW YORK -- A bag containing traces of moon dust sold for $1.8 million at an auction on Thursday following a galactic court battle. The 12-by-8-inch (30-by-20-centimeter) bag was misidentified and sold at an online government auction. Nancy Carlson, of Inverness, Illinois, got an ordinary-looking bag made of white Beta cloth and polyester with rubberized nylon and a brass zipper. Carlson, a collector, knew the bag had been used in a space flight, but she didn't know which one. She sent it to NASA for testing, and the government agency, discovering its importance, fought to keep it. 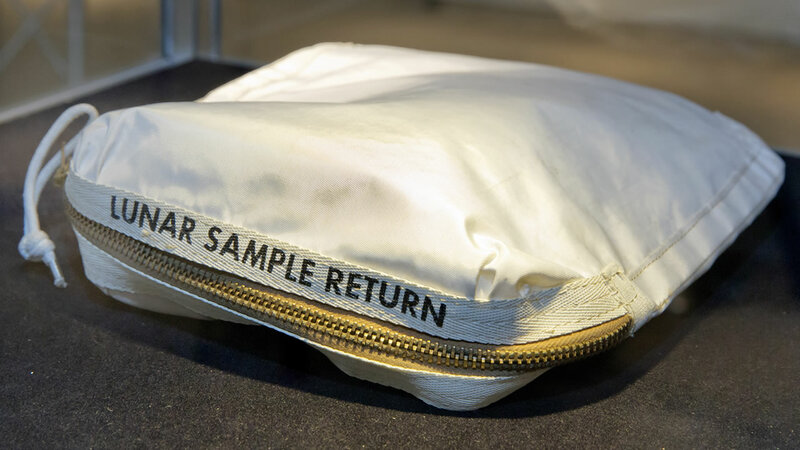 A group called For All Moonkind Inc. mentioned the moon bag this week while campaigning for "measures to preserve and protect the six Apollo lunar landing sites." It plans to take up the issue next month at the Starship Congress 2017 in California. Click here for more stories and videos about NASA.